The dynamiters tells the story of the first urban bombing campaign in history, that carried out by Irish-American Fenians in the latter decades of the nineteenth century. 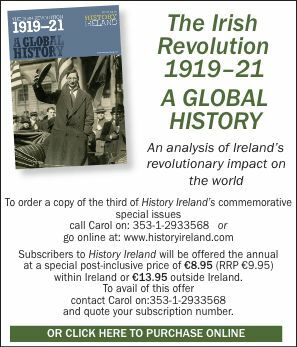 It provides a cogent analysis of Fenian urban bombings against the backdrop of transformations in late nineteenth-century revolutionary violence, and provides a detailed analysis of parallels between Irish-American dynamitards and contemporary revolutionary groups. This is a welcome addition to our understanding of Irish nationalist violence, particularly with reference to Fenianism. Fenianism, with its unyielding commitment to the creation of an independent Irish republic through physical force, was the most important revolutionary tradition in nineteenth-century Ireland. The Fenian bombing campaigns of the 1880s and 1890s remain relatively neglected by historians, however. From 1881 to 1900 Fenian bombers detonated explosives at significant sites in both Britain and Ireland: the detective headquarters of the Dublin Metropolitan Police at Exchange Court, Whitehall, Victoria Station, Scotland Yard, and even the chamber of the House of Commons. This urban bombing campaign was organised and funded by Irish-Americans, and it exploited both advances in technology and the increasingly globalised nature of Victorian society. Fenian bombers could easily transcend national boundaries, and used innovative techniques such as explosive timers. This reflected a shift from a strategy of irregular attacks against political élites to a sustained campaign designed to coerce those élites through public intimidation, a strategy that conforms to what is now termed ‘terrorism’. The urban bombing campaign in Britain was a bold and controversial move by Irish-American Fenians and was not wholeheartedly endorsed by the wider Fenian movement. Many traditionalists were repulsed by it, and favoured open and ‘honourable’ warfare between uniformed armies rather than a clandestine conflict. In the 1880s the bombing campaign was sustained by two groups. The Skirmishers were a small splinter group of Clan na Gael, based around Jeremiah O’Donovan Rossa. The Skirmishers remarkably had established a ‘dynamite school’ in Brooklyn to facilitate the training of active agents in the manufacture and transport of explosives. Theatrically, the dynamite school was led by a supposed Russian explosives specialist named Professor Mezzeroff. Through one of the great ironies of history, Mezzeroff was not Russian at all but was actually of Scottish-Russian origin and was named Richard Rodgers, his employment giving a great degree of revolutionary semblance to the dynamite school. The Skirmishers were responsible for several amateurish bombing attacks in the early 1880s but were undermined by limited financial resources. They understood, however, that by capturing headlines they could goad the more financially secure Clan into a similar strategy. This, they hoped, would appeal to the Clan grass roots and to potential sympathisers easily persuaded by violent attacks as propaganda by proxy. In order to recapture lost ground from their rivals, the Clan itself embarked on a bombing strategy with a level of professionalism and activity unprecedented in modern Europe. The Fenian bombing campaign generally receives sparse and fleeting attention, despite the fact that the campaign included household names such as Jeremiah O’Donovan Rossa, John Devoy and even Thomas J. Clarke, the future signatory of the 1916 Easter Proclamation. The dynamiters, however, addresses this deficiency and is a great addition to our existing knowledge of the evolution of Fenianism in the late nineteenth century. 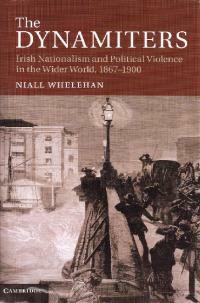 The book also examines the role of Irish-America within the wider Fenian tradition. Particularly impressive is its comparative study between Ireland and Italy; Whelehan moves with ease between Garibaldi, Mazzini and Cavour. This emphasis on the influence of Blanquism and ideas of guerra per bande, associated with the Italian Risorgimento, on Fenianism certainly opens up a new and valuable perspective. A particularly welcome feature of the book is its wealth of tables examining the level of Irish-American support for Fenian bombings in Britain, each one detailing the social and economic standing of subscribers to various dynamite funds and the sums they were willing to offer to facilitate political violence in Britain. Shane Kenna’s The Irish-American Fenians who bombed Victorian Britain will be published later this year by Irish Academic Press.